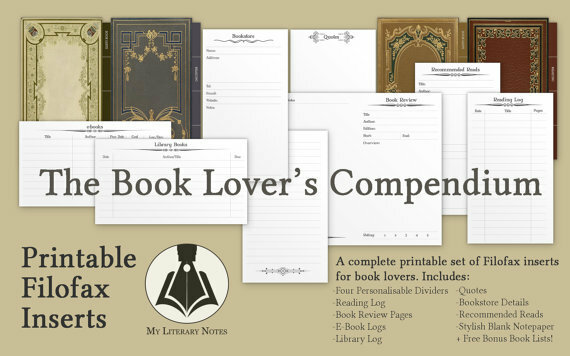 Awesome Filofax printable inserts for Book lovers! A complete set of 8 different inserts, plus four gorgeous antique book dividers for book-loving Filofax aficionado’s. and even pretty blank lined notepaper.